The market capitalization of crypto is 5% higher now than this date last year. That's a bit lower than the average historical return on stocks of 7%. Still, it’s not bad for a bear market. It’s a great return for the year that has been called “an asset bust for the record books. ”To be sure, my data series is selective. It excludes the wild December runup, a time when the lines at bitcoin ATMs were around the block. Buying at the top and holding would have been … regrettable.You can read countless stories of how so many people have been suckered into a bubble and ruined their lives by investing in various crypto assets. People use this event as a way of saying that crypto is nothing but a shiny object signifying nothing. Actually, the story reveals an old truth. Most people buy high and sell low. That’s why there’s such profit in doing the opposite. But going against trend is more difficult than it seems because, as it turns out, the future is unknowable. In 2013, I was working for a company that put out investment newsletters. The company never stopped trying to get new subscribers. But there was always the same problem. If you pushed an idea that no one had heard of, or a stock or asset that had recently been pummeled by the market, would-be subscribers would be unimpressed. You couldn’t close the deal. The time when people get excited about an investment is usually the precise time when it is already overbought. So the company would send out solicitations based on topics in the news, knowing full well, based on market experience, that the items were situated for a fall. Then a bunch of angry people would write in denouncing the company for pushing what turned out to be a dog. Half would cancel.The company was fully aware of this, but it marketed this way anyway. Its sales data demonstrated that this was the best way to get subscribers. If you kept half the people who signed up, you have a winning model.In any case, you can’t sell people on products they find boring. Underpriced financial assets are always boring. 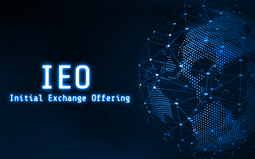 Overpriced assets are exciting.In this sense, the crypto markets are no different from any other, except that they have been more volatile. This is exactly what you would expect from a completely new technology. Investor sentiment flits between despair and irrational exuberance. Crypto has the added problem that the whole thing seems so abstract. It’s made of code. Though we are a quarter century into the digital age, many people remain incredulous. They think wealth is what you can touch. Money is what jingles in your pocket. Value can’t be made of ones and zeros. Even now, speakers at conferences decry our world of social media, gaming, and online everything, and say it has been a giant bubble. “We need to get back to making things” is a theme you hear in both progressive and conservative circles. Added to that problem is the combination of features of crypto that people just don’t understand. Distributed network, hashing strategies, proof-of-work protocols, cryptography — who but specialists can make sense of all this? Most people have no idea what the use case is, much less what the ultimate point of it is (my quick answer: it’s the best technology ever discovered for documenting ownership rights). Because so many lack the patience to understand, and perhaps because so few can explain it coherently, there is a strange lust in the land to debunk the whole thing. Every single time the market drops, people get busy writing obituaries for crypto. I’ve been seeing these appear since the market price was $14.The tendency goes way back. 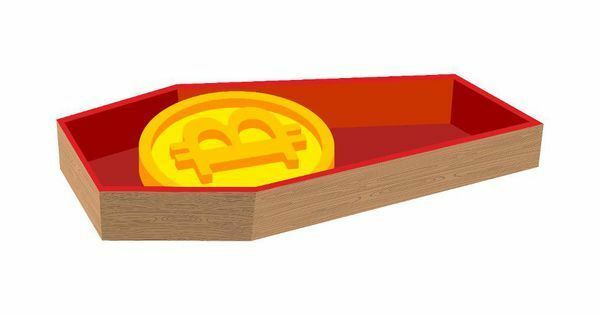 There is a great site called Bitcoin Obituaries that has logged 315 obituaries. Look at the first one: “The only thing that’s even kept Bitcoin alive this long is its novelty. Either it will remain a novelty forever or it will transition from novelty status to dead faster than you can blink. ”The price at the time of that writing was $0.23. I recall reading it and thinking: “Oh I can’t wait for this thing to hit $1,000; then people will stop writing this nonsense.” But you know what’s true? The price doesn’t matter at all for these people who want crypto to die. This was written in September 2018, a time when that brilliant mind failed to check on data showing that transactions per block had been rising dramatically since February 2018. The same is true of transactions per day. As for volatility, most of 2018 has been a year of price stability, much to the regret of investors. These facts on the ground don’t matter to these people. The underlying technology doesn’t matter, because these people show almost no interest in it.To be sure, I’m not predicting that bitcoin core (BTC) will win this battle of the cryptos. I’m not even saying it will go up in price. Maybe it will crash again. I once perfectly predicted the first $1,000 price; what I failed to predict was its fall to $350.There’s no disgrace in that. What bugs me is that ridiculous sense of certainty these writers have, that their beautiful minds are smarter than the market itself. They are not. But a convinced journalist or intellectual is a tough nut to crack. So go ahead and write your bitcoin obituary. Become the 316th person on record to say something silly. But when the market proves you wrong, please have the decency to admit it. I head editorial at the American Institute for Economic Research founded in 1933. I've written 8 books and speak regularly worldwide on topics of money, trade, and innovation. Francisco Gimeno - BC Analyst Good reflection and something many would just chuckle about. Bitcoin and crypto have been declared dead or being just a shiny thing so many times... but it is here to stay. Those who prepare for the 4th IR are in the best position.